Snapshot of my stash of colour pencils. 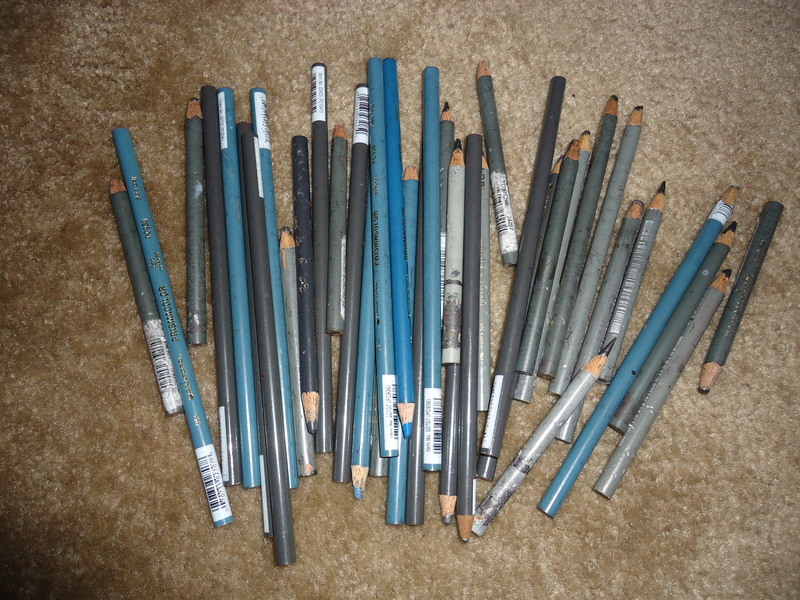 Prismacolour’s “Steel” and “Slate Gray” pencil. This entry was posted in Art for the lwa and tagged art, arts, blade, color pencil, creativity, drawing, haiti, illustration, knife, knives, lwa, machete, magic, metal, ogoun je rouj, ogoun red eyes, oil painting, painting, pencil, portraits, Prismacolor, religion, steel, swords, vodou, voodoo, warrior, weapons. Bookmark the permalink. Wow! I thought that was a photo until I read the caption. Amazing!!!! Hey Cheshire!! Really? I thought I didn’t do my best because I did this when my eye was still blurry from cataracts! Thank you! 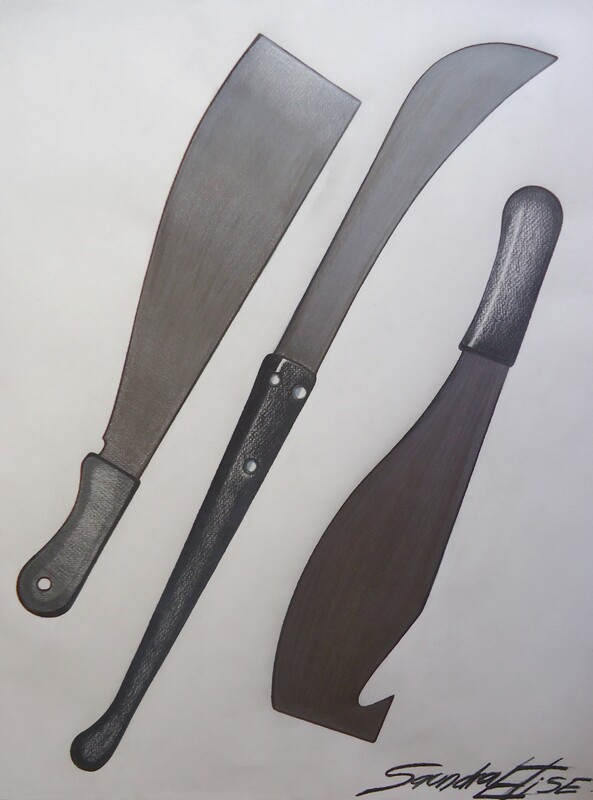 I drew these knives from photos I researched while looking over different Machetes. I like the whale tail Machete Its shaped like a meat cleaver almost!! Well thanks hun!!! I just got my prescription for new eyeglasses! I can’t wait to start wearing them! I have too many pencils!! My room looks like an art warehouse! Thanks!